The 90 Days to a New Body book reveals a very efficient practical and easy to follow method to change anyone’s physique within 12 weeks. The steps are very well detailed and well thought. I wrote this book because many people asked me how they could achieve results fast and keep them. In my previous book, I focused on Women aged 40 + and showed them how they can transform their bodies to look far younger. This book is intended to reach a broader audience. Men & Women almost at any ages can benefit from this plan. All around you, you see 40 years old women who look like they’re 30, so you know it’s possible to change, but HOW? That’s the real answer you’re looking for, isn’t it? 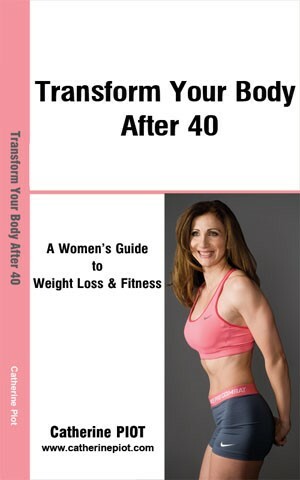 I wrote this book for all women’s aged around 40 and more who want to change their way of looking and get back in shape or even stay in shape by understanding how the body works. Why is this book different? Because there is no single answer and I won’t lie to you and tell you there’s a miracle fix. The Answer is not Pills. The Answer is not a Diet. The Answer is not just Exercise. You won’t find diets here. You won’t find magic pills here. What you WILL find is a careful Personalized Solution based on Science, Biology, Physiology, Psychology, Nutrition – and your own body. How to Get the most out of your time at the Gym ! 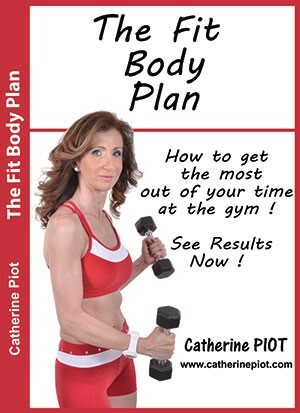 The Fit Body Plan, How to Get the Most out of Your Time at the Gym! is a book written to help you maximize and optimize you time at the Gym and finally see results! No more training for hours, day after day, without seeing any results ! You will learn how to use the ”fitness mystery” in your favor, use different training methods and techniques in order to get the best possible results. I am showing you which exercises to do, with what intensity and in the order to follow for maximum results. I included an Exercise Guide to show you visually how to execute the exercises whether you use free weights, machines or cables! Enjoy!